Can u add option to choose date type? I am already using another addon for bfa invasions, and it showes day of the week, not the date. It's more usefull, no need to check calendar every time to match what day will be 12/24/18. There are new WQ at Invasions. But when i am creating group addon set limit for 240+ ilvl players. Can u lower this number, so 112+ guys can see another player's group and join? Can u make the location buttons at 1 place? i wanna click all 4 buttons in a row, to check is there any interesting things. Auto join, auto invite looks to be broken in 8.1 which pretty much renders the addon useless since noone bothers to manually invite. Did Blizzard break the automatic accept when you join a group via quest id? 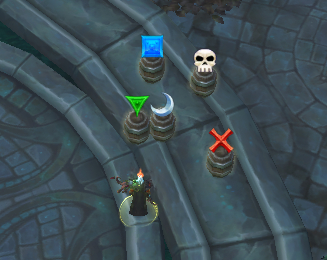 Is there any way scale the new WQ icons on the map (they're too big)? 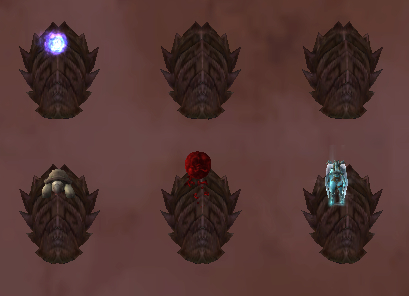 Also, is there an option to remove the extra nameplates on each WQ icon (I don't want to see them)? Yes, there is option for scale. 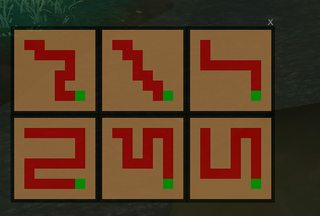 So, if anyone going to fix this addon? 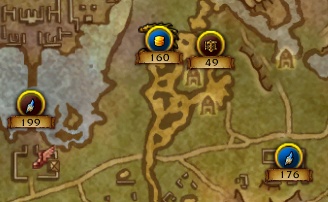 Every time I try and look at the quest points icons on my map they just disappear, but when I switch from "WQ" to "T" the appear back up. thing is once i even do that, if i were to zoom out on the map and go back into the zone they disappear again. Happens in both small map and full screen map. Is it possible to autofill quest id? Just installed this addon. The addon sits/goes off the top of the screen. Is there a way to move it around? I can see a couple of quests hanging down from the box, but that's it. Hi, I would like you to add the option of expelling players too far. There are many jump servers again. 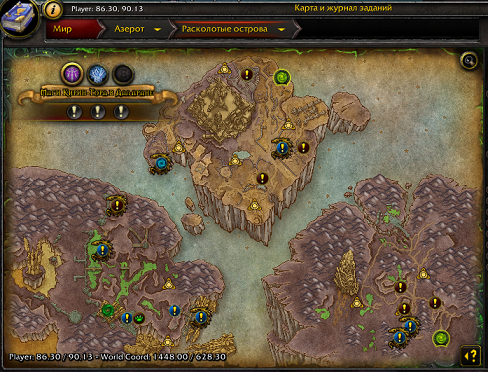 ADDON_ACTION_BLOCKED] AddOn 'WorldQuestsList' tried to call the protected function 'Search()'. It appears that Deadly Boss Mods is interfering with the TomTom compatibility mode. 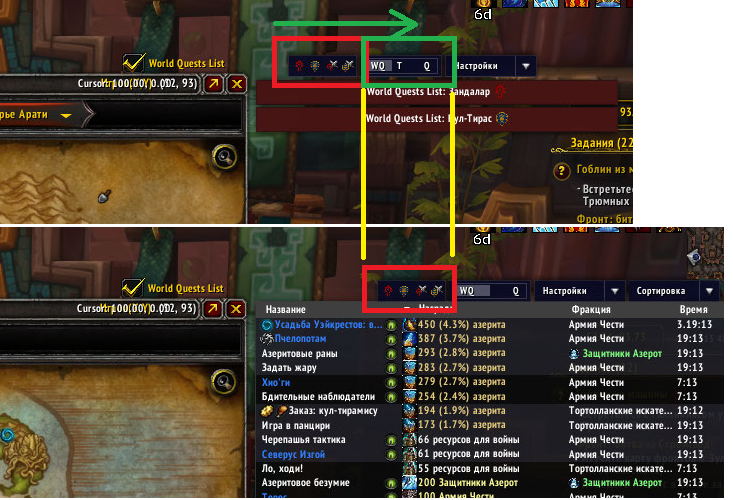 While the WQ tracking arrow was still replaced by TomTom's arrow, when it was selected in the World Quests List options, but if you typed a /way command, instead of using TomTom, it reverts back to WQL's arrow. Disabling DBM allowed /way to use TomTom as intended. Where are the command line options and config options? 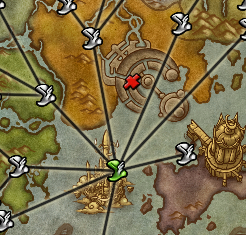 Every time I do a Tortollan world quest (beachhead or shell game), once I finish the quest I can no longer mouse click on any action bar. Then I have to /reload or relog. This only happens when WQL is enabled. If I disable WQL, it never happens. Enable WQL and it always happens, every time.